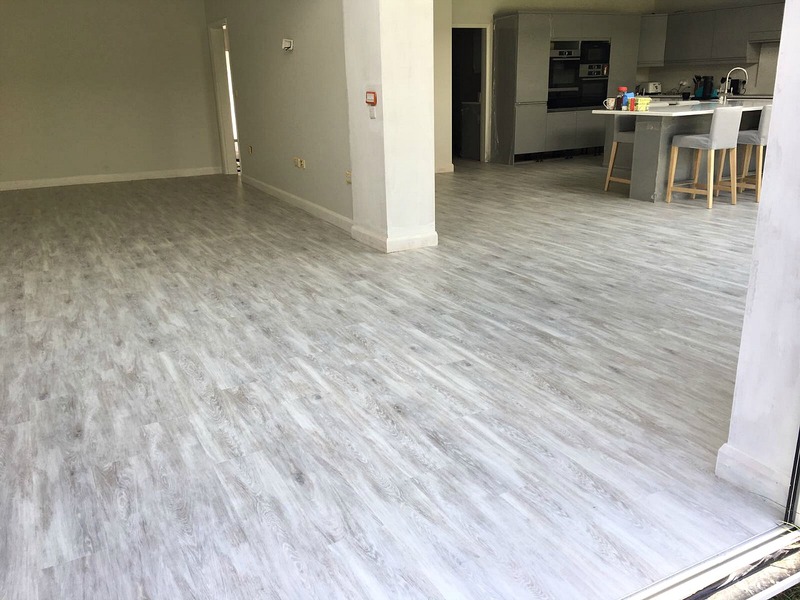 It’s been a while since we shared some of our flooring projects – mainly because we’ve been so busy fitting them! 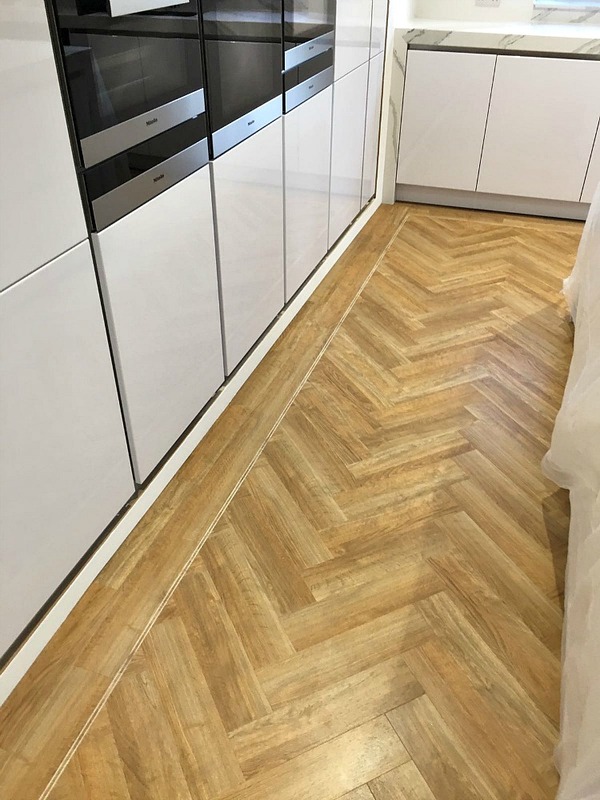 So here’s some of our recent Amtico flooring kitchen installations by our expert fitters. Don’t forget to follow us over on Facebook to keep up to date with our latest work. You can follow us on Facebook or Follow us on Twitter. 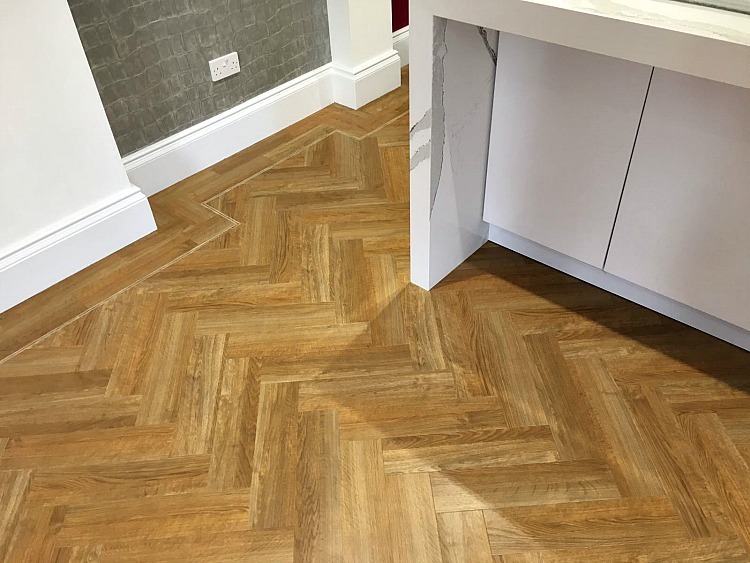 Our Amtico fitters have all been trained in the specialist preparation and installation techniques of Amtico flooring. From bespoke parque designs to straight-lay planks and intricate mosaics, you can guarantee an expert and professional fit from our team. 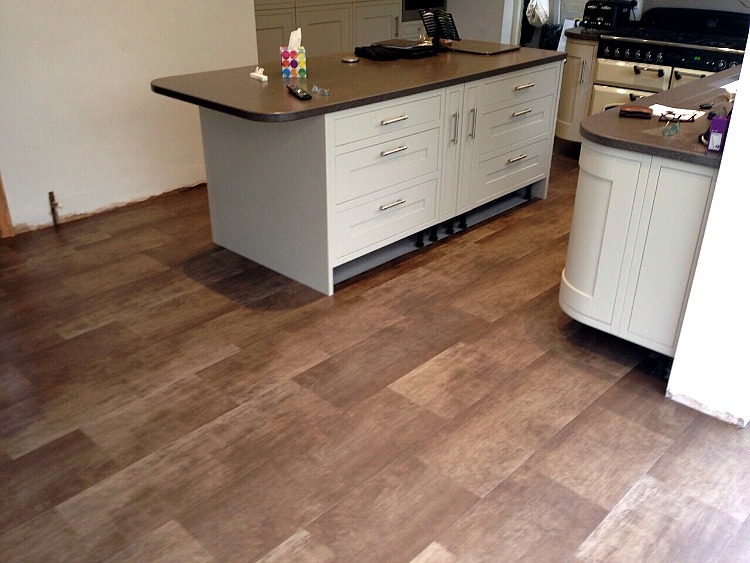 Amtico flooring is perfect for kitchen and dining areas offering both durability and style. Highly scratch resistant and easy to maintain, this range will stand the test of time. 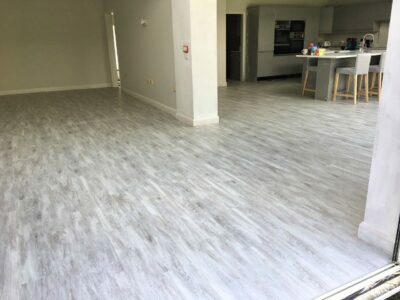 Amtico Signature also comes with a lifetime warranty. 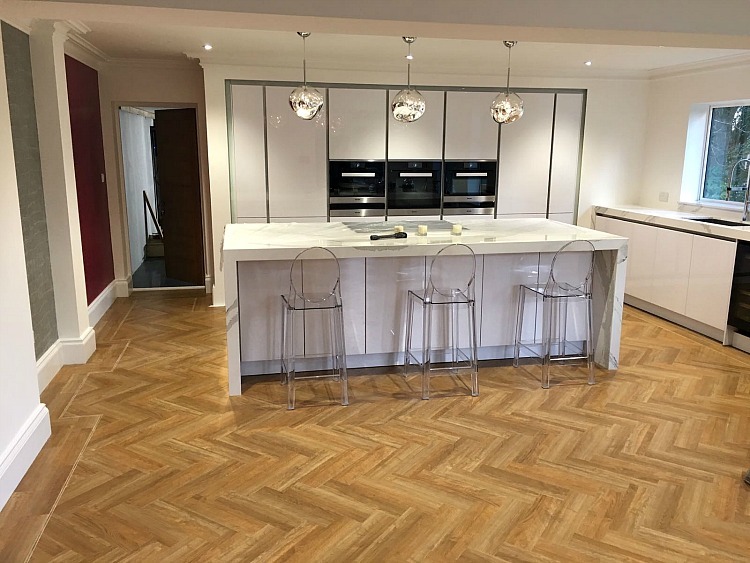 We love the contrast between this super sleek kitchen and the more traditional parque flooring design. 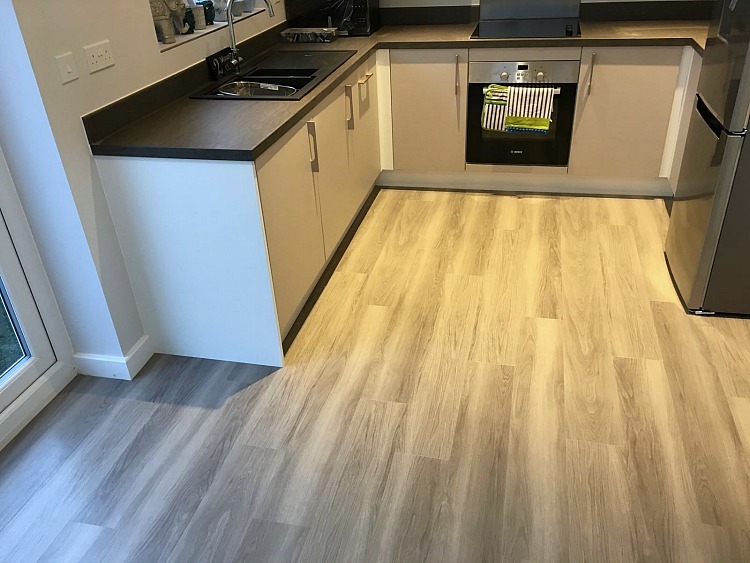 This oak effect Amtico Signature tile also helps to add interest and warmth to this minimalist space. 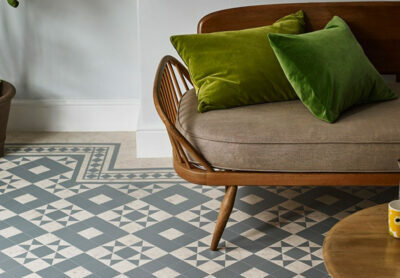 Amtico Signature gives you endless possibilities enabling you to create a completely bespoke look within your home. 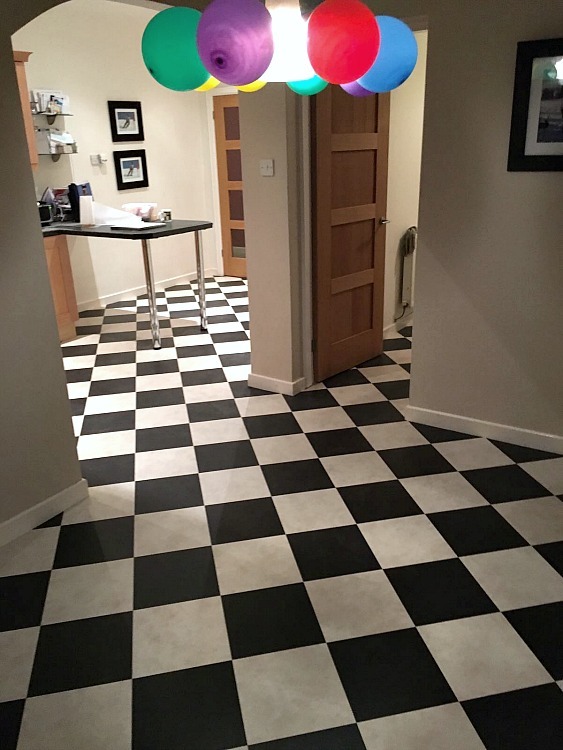 If you’re looking to create a feature floor in your home and add that wow factor, then a checkerboard flooring design like the one we fitted below could be right up your street! 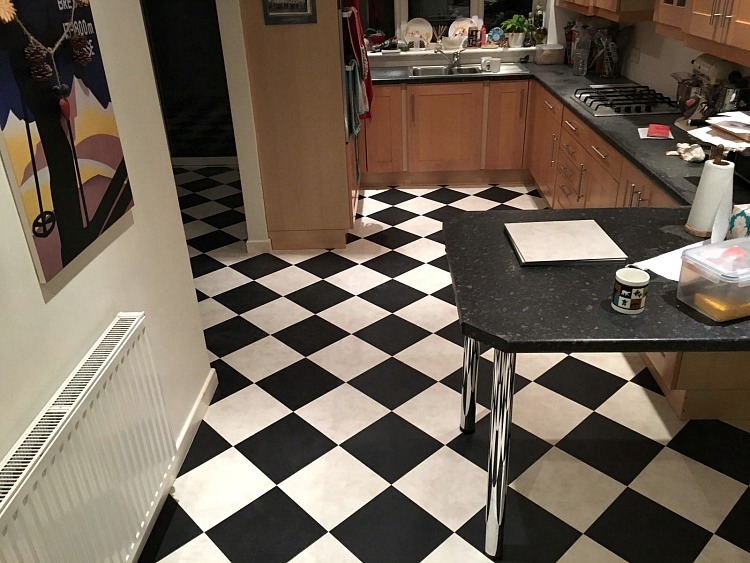 We love the traditional black and white contrast created using tiles from the Amtico Spacia range. Remember that Amtico gives you the flexibility to combine any tiles you like, so you can find something to suit your taste and existing home decor. There’s a huge range of wooden effect shades to choose from in the Amtico Spacia and Signature ranges. Planks in the Amtico Spacia range come in 4 inch and 7 inch widths. 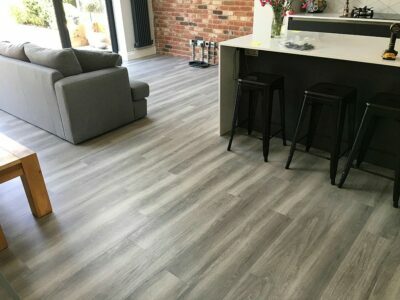 Wooden effect tiles add a classic elegance to your home and help to add natural, warm tones to both traditional and contemporary furnishings. Whether you’re after a sleek modern or a traditional country kitchen, there’s an Amtico range to suit you. Why not pop in to one of our showrooms to see how we can help?